Posted on July 13, 2014 by Ching under Zumba. 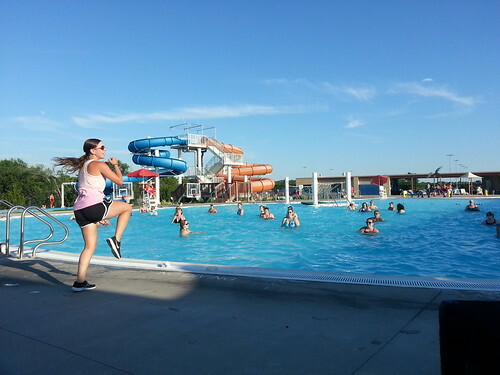 My goal this summer is to learn enough Aqua Zumba routines for a full class. Since I got my license to teach Aqua Zumba earlier this year I’ve really been somewhat reluctant to start teaching it. 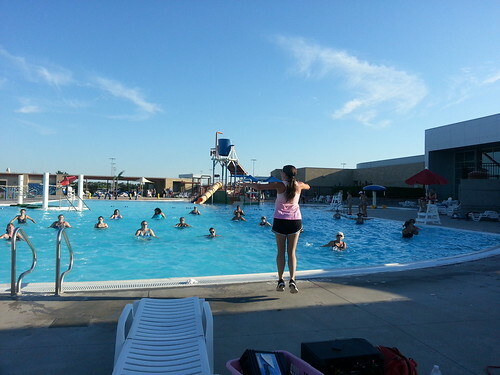 Unlike after my Zumba Basic 1 training when I just jumped right in to teaching classes, I’m a bit apprehensive about teaching Aqua Zumba. I think maybe some of it has to do with my limited experience taking these classes. I have only taken a handful. All of them have been very good so that’s made me feel somewhat intimidated and inadequate to teach the format. 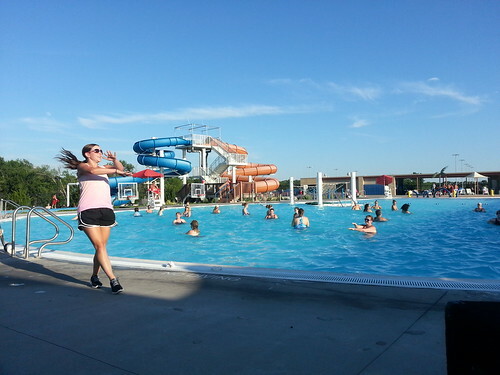 On top of that, Aqua Zumba is really physically taxing on the instructor. We were taught this in training but then I thought, it can’t be that bad. I learned just how exhausting it can be to teach Aqua Zumba first hand when Alexa let me teach one song in her class last Wednesday. Holy cow! I was so winded after teaching just one song. I came to the conclusion that (a) I need to get in better shape in order to teach the format without dying or throwing up at the end of class, (b) I need to learn techniques for conserving my energy throughout class so I can survive, or both. Here are some pictures and videos from Alexa’s class last Wednesday. 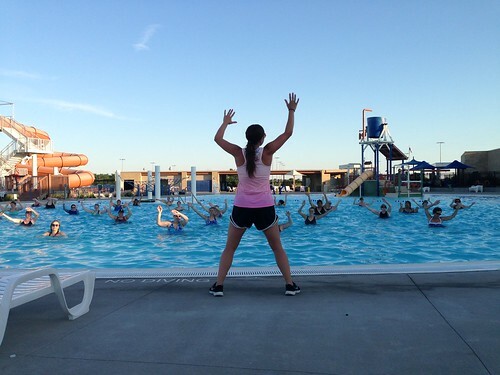 These videos will give you a sense of what taking an Aqua Zumba class is like. It really is super fun and a great workout. I highly recommend trying the class if you’ve never taken one before. Or if you have, I recommend checking out Alexa’s class on Wednesday nights at Andover YMCA because she is a fantastic Aqua Zumba instructor. I feel very fortunate to be able to shadow Alexa and have her as my mentor. She is so talented. I know that I will learn a lot from her. Come join us this Wednesday at Andover YMCA. 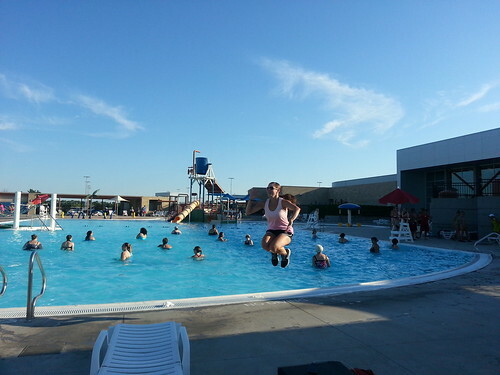 The class meets at 7 PM outside in the waterpark. See you all there!